An interesting “development” – so to speak – took place recently as to a quasi-judicial board’s obligations with regard to special and conditional use permits. The case is PHG Asheville, LLC v. City of Asheville, No. COA18-251 (November 6, 2018). A developer proposed to build an eight-story, 178,412 square foot hotel and an “on-site parking structure” on 2.05 acres in downtown Asheville. In Asheville, development projects designed to contain a gross floor area greater than 175,000 square feet to be built on parcels zoned Central Business District and located in the Downtown Design Review Overlay District – as this project – are subject to the City’s “Level III site plan” review. This multi-level review includes a quasi-judicial hearing for issuance of a conditional use permit from the Asheville City Council. It is this level of review that’s at issue in this lawsuit. The City Council voted to deny the conditional use permit and later issued an order containing 44 written findings of fact and 2 conclusions of law, detailing why it denied the conditional use permit. The developer appealed to the trial court, which reversed the City Council denial on the basis that the developer established a prima facie case for entitlement to a permit. The City appealed the trial court’s reversal. In a decision affirming the trial court, the Court of Appeals states: “Under the terms of its own order, the City Council did not have to make 44 findings of fact to weigh or resolve conflicts in the evidence. The City Council made the initial legal determination Petitioner had failed to present competent, material, and substantial evidence to establish a prima facie case of entitlement to a CUP. Once the City Council made this legal determination, it was unnecessary and erroneous to make 44 findings of fact on unchallenged evidence beyond the required ultimate findings on the 7 criteria specified by the UDO.” In other words, the Court of Appeals appears to say that a denial of a special or conditional use permit on a “failure to make a prima facie case” basis can only state which standards in the applicable ordinance were not met; indeed, it is “erroneous” for a denying quasi-judicial board to find facts supporting its denial of a conditional or special use permit on a “failure to make a prima facie case” basis. In its analysis, the Court of Appeals cites at length to Little River, LLC v. Lee Cty., __ N.C. App. __, __, 809 S.E.2d 42, 46 (2017). Full disclosure: I litigated the Little River, LLC matter on behalf of the opposing, neighboring residents, in which the Court of Appeals reversed both a board of adjustment decision and trial court decision denying the permit. In rewriting Little River, LLC, the Court states, “Here, as in Little River, it was unnecessary for the superior court, and is unnecessary for this Court, to specifically address each of the City Council’s 44 findings of fact, because no “competent, material and substantial evidence” contra was presented to rebut Petitioner’s prima facie showing.” In Little River, LLC, the trial court found that the opposing neighbors presented factual and expert testimony (from 5 expert witnesses, mind you) that the applicant—Little River, LLC – failed to present competent, material, and substantial evidence that applicant was entitled to a permit. So, first off and a problematic re-weighing of the evidence aside, the Court mischaracterizes the “evidence contra” in the Little River, LLC case to suit its analysis, unfortunately—in what way are five expert witnesses “not ‘competent, material, and substantial evidence’ contra”? More to the point, however, here’s the thing: not all quasi-judicial proceedings determine whether a prima facie case is made at the close of applicant’s case. As in the Little River, LLC matter, the quasi-judicial board heard all evidence pro- and contra-the-permit before voting on anything, as a judge would hear a bench trial. Indeed, factual and expert testimony is very helpful (and sometimes necessary) to show a quasi-judicial board just how incompetent, immaterial, and insubstantial the applicant’s evidence was in support of a special or conditional use permit application. So, while a prima facie case can be rebutted with competent, material, and substantial evidence, it can also be discredited (i.e., a prima facie case was never made) in the same way – i.e., it can be shown that whatever information an applicant presented was not, in fact, competent, material, and substantial based upon the opposition’s factual and expert evidence. In my view, after PHG Asheville, LLC, a quasi-judicial board is now faced with a dilemma: either (i) refuse the prima facie case and not find any facts in support of that decision, lest it risks error, or (ii) assume a prima facie case, but then find facts rebutting the prima facie case. I think the former exposes a board’s permit denial to second-guessing (“This decision is not justified.”), while the latter gives the permit applicant an undue advantage. Also, as to the prima facie case, based on the Court’s analysis in Little River, LLC v. Lee Cty., who knows what constitutes “competent, material, and substantial evidence contra” to support a denial of a special or conditional use permit. 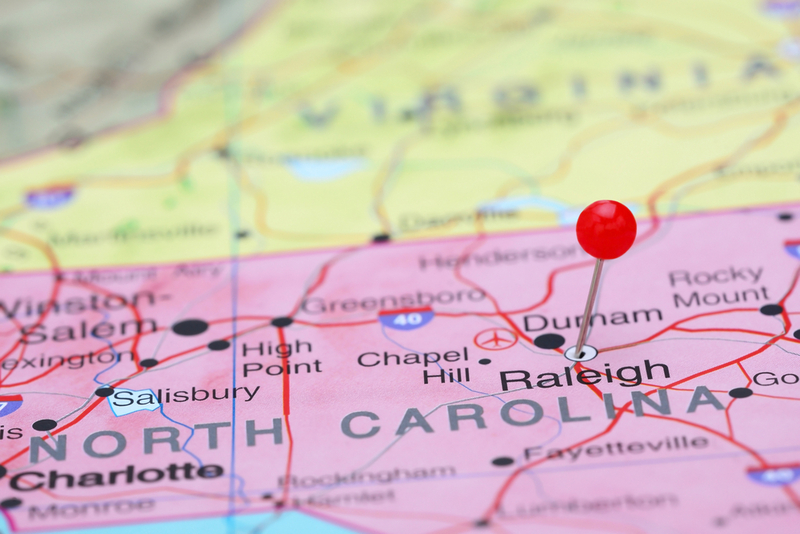 The North Carolina courts continue to deal with issues in the quasi-judicial land use proceeding space.